how to write | Damian Trasler's Secret Blog - Do Not Read! Screenshot of Chuck’s blog. Reproduced without permission, and I fully expect to be eaten by wild dogs as a result. And not in a good way. Juggling WAS actually that mystical thing that just clicked. I could do it straight away, or at least with enough ease that I was willing to put in the work to get even better. I’ve taught juggling for long enough to know that it is this way for some people. My earliest juggling partner, Dougie, could watch a trick being done a few times, then just give it a go and it would usually work out. He was a natural, better than me. My good friend Mike didn’t have the same flow, but he had way more determination and would work at a trick until it worked. Months, if necessary. If I’d had to put in that effort, I would have walked away. Writing hasn’t been easy, but I wanted to be a writer, and with the birth of Eldest Weasel I was given the opportunity to try it. Early success in the sale of a story and an article gave me encouragement, and I had the support of Mrs Dim, something for which I can never be grateful enough. So even though the actual writing wasn’t easy, the ideas have never stopped coming, and I have never lost the desire to be a writer. But by nature, I’m what writers call a “pantser”, following where the story leads and hoping it’ll get where it’s going in a reasonable word count. It can be an exhilarating journey, but you have to be prepared for the occasional trip down a blind alley, or running out of steam in the wilderness. In my virtual desk drawer I have more than one great idea that’s still awaiting the arrival of roadside assistance to de-coke the engine and refill the tank. 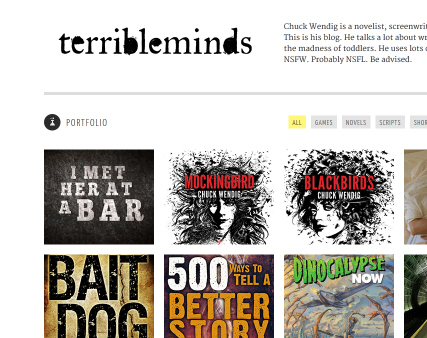 So Chuck is right – the deepest truth, the unavoidable fact is that YOU MUST WRITE. There’s no easy way, no method to skip the work and get the prize, you have to write. To coin another metaphor, you have to go down to the coalface and hack out your story. No argument from me. But here’s something I’ve learned, (and maybe Chuck would agree): While you’re hacking away, sometimes it’s good to step back and look at THE WAY you’re working. Are you using the right end of your pickaxe? Are you swinging with a steady rhythm? Could you maybe use a power drill? And lots of other mining-type questions. I’ve been a pantser for years, and it’s worked pretty well, but that doesn’t mean it’s the only way I can write. Maybe trying a new method will reduce the number of unfinished pieces, and make better use of my time at the coalface, as it were. 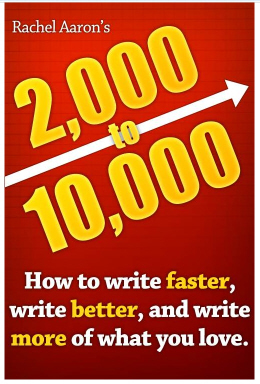 To this end I picked up “2000 – 10000” by Rachel Aaron, a book that promised to improve your daily word count. 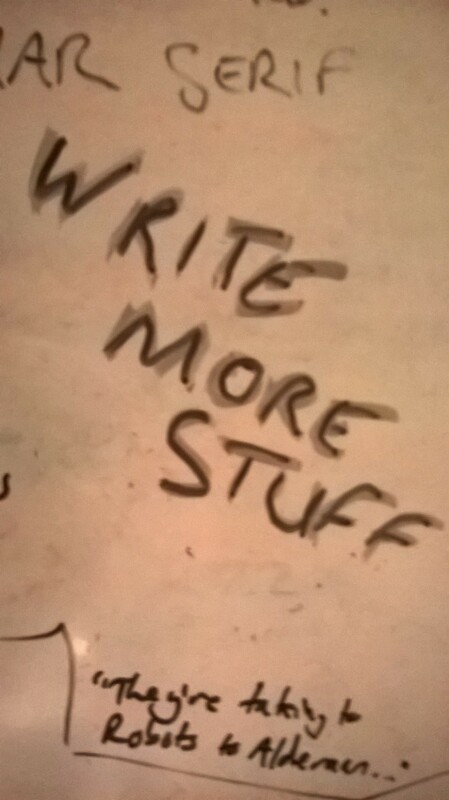 That wasn’t exactly my aim, since I’m mostly writing plays, but increased efficiency is a good goal. The book is short, and available for the Kindle, so I downloaded it and read it in one evening. It makes a lot of sense. Rachel’s main point – the one that resonated most with me – is that working out the story is most of the heavy lifting. And pantsers like me do that work while we’re writing. We’re not just hacking out our coal, we’re trying to work out where the best seam is, indicate it to other miners, ensure everyone is wearing the correct safety equipment and make lunches for the miners WHILE STILL MINING! (This was a lousy metaphor. I should have used ships instead.) She said that by taking five minutes at the start of her writing time to outline what she was aiming to write, the bones of the scenes, she could write with more confidence and better direction. She had to edit less, because she knew the whole scene was worthwhile, and she knew how it was going to play out. For someone whose stories have often gone off the rails as the characters grab the plot and run away with it, or slump in the corner and refuse to play, this was a revelation. Not just a vague outline that says “And then they work out their argument and get married” at the end, but an actual breakdown of the whole thing! Brilliant! To test the theory, I have given February over to an old favourite project of mine. I wrote the general outline, then broke that down into acts and scenes. 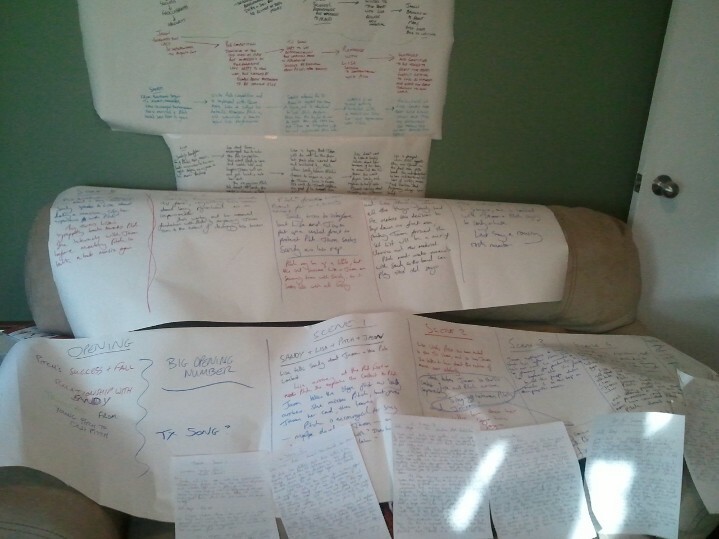 I’ve taken each of those scenes and written a more detailed outline. In a couple of days I’ll have detailed outlines for every scene and have a plan – a detailed plan – for the whole play. No one gets to go astray, because I know where they have to be next. If I get stuck on one scene, I can go on to the next and work on that, confident that it’s part of the plan. I have high hopes. On the wall is the plot overview, beneath it are the two scene breakdowns, then the individual sheets are for each scene. This is a good method, but the real secret of the book is “Look at the way you work”. You don’t have to adopt Rachel’s method, or use Robert McKee’s graphs, or Blake Snyder’s beat system, but you should try something new from time to time, see if the way you’re working is the best way for you. There’s no magic bullet that will make writing (whether books, poems, plays or condolence letters) easy, but you can make things easier on yourself. And when you’ve got a good method, you’ll just have to DO IT! A writer’s tools – what do you REALLY need? Do you NEED a huge desk, piles of papers and a dodgy haircut? 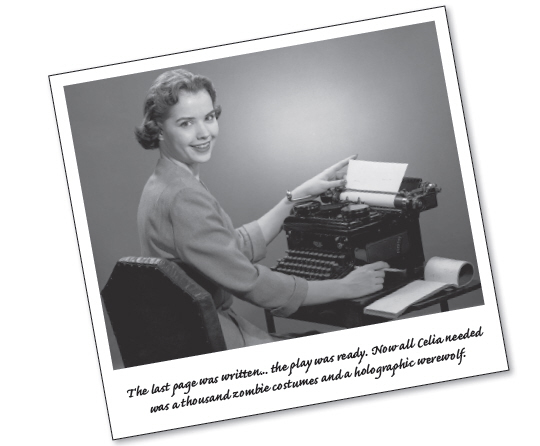 Writing a book used to be a simple, but longwinded thing. You took some paper and a pen, and you wrote. When you got something wrong, you crossed it out and wrote it again. Then along came the typewriter and that made things neater, but mistakes still needed correction. And then correction fluid. Now we have computers, netbooks, tablets, smartphones….There’s almost no end to the number of gadgets that allow you to write, blog, compose, educate…on the move. But what do you NEED? Obviously, if you’re blogging, you need something with access to the internet, so you can upload your wit and wisdom for the eager masses. And if you’re any kind of author, you should know that a blog is part of building your author platform (See Kristen? He CAN be taught!) So there’s an argument right there for the inclusion of a computer and router in your Writer’s toolbox. Inspiration is a flighty thing, and it can strike at any time. A decent smartphone can let you record your brilliant idea as it occurs. Maybe you can even slot the bare bones onto Twitter for the benefit of your followers. (And isn’t it great to have followers? Like you’re some kind of prophet leading your people through the literary desert to the flowing waters of wordy goodness….) Ok, a smartphone. Which we’re definitely not getting for the games, oh no. Ooh, look, Bejewelled! Smartphones are good for 140 characters of tweet, but writing my novel two thumbs at a time? No way. But a laptop is too bulky. Get yourself a neat little netbook, hook up to the Starbucks Wi-Fi and away you go! Proper keyboard, decent size screen, and you can even check Facebook. For your author-type publicity updates of course. You know what’s coming, though, don’t you? All these things are lovely, and yes, to be a successful published author, you’ll need to use the internet and present your manuscript in a legible form. But to write, to communicate the notions in your ever-whirring brain, all you need is that good old pen and paper. Don’t believe the hype that says you need the latest software to write your novel, or that you can’t live without a 28inch screen for your PC. You could write a whole novel in pen on paper, and it could be just as good as a first draft in Times New Roman in Word. Yes, you’ll have to re-type the whole thing, but if you aren’t planning to do more than one draft, then you’re no writer, my friend. Today’s secret is a simple one: To be a writer, you only have to write, and you can do that with a pen and a piece of paper. Today, as a marketing ploy and because I don’t want to write another blog piece that starts “I’ve been thinking…”, I’m handing out a free sample from my book (Title above). I’ve chosen the start of the chapter about the most common mistakes made by folks writing for the Community Theatre Stage. Hope you enjoy it. 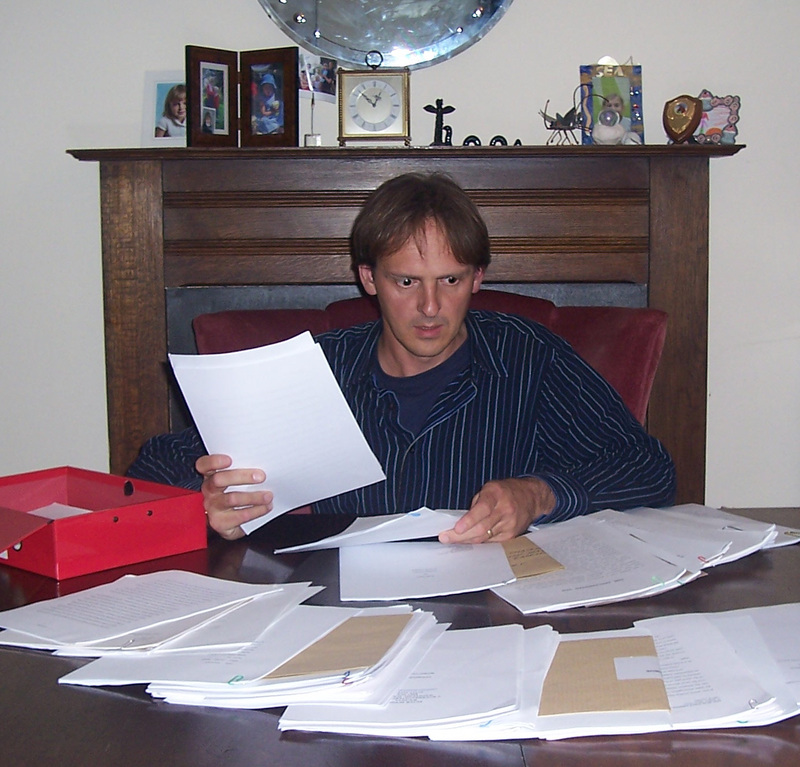 After a few years of being published, I took on the job of Script Reader for my publisher, Lazy Bee Scripts. The company was being inundated with scripts, and they needed someone to help with the initial sorting of the new arrivals. This gave me a chance to review and report on hundreds of scripts from a huge variety of writers. Scripts are sent to Lazy Bee from all around the world, by people who have been writing for years, people just starting out, and people trying stage writing after success in some other form. Before long it became obvious that the same mistakes were being made over and over again. Writing a screenplay for the stage. I’m never sure if this mistake is made because the authors have never visited the theatre, or because they wrote the idea as a screenplay first then attempted to convert it to the stage. Since the primary market I am reading for is concerned with the amateur stage, where resources and stage space tend to be limited, there is little point in saying “but I’ve seen some pretty spectacular things on the West End stage”. Yes, I know you can see ‘Chitty Chitty Bang Bang’ fly out over the audience in some theatres, but you’re not likely to see that done in your local village hall or school production. Time after time I read plays that open in a living room, described in perfect detail. Five minutes later the action moves to a second, equally detailed location for just a few lines of dialogue, and then another change. If the play is to be performed on a regular small stage, the only options are to have a subdivided stage with many sets permanently erected and the action moving between them, or to have a minimalist stage with movable furniture to signify the various locations. I used a combination of these devices in ‘A Time for Farewells’, with one half of the stage permanently set as a bedroom, and the other half different arrangements of three stage blocks that became a bar, a hospital room, a lounge. I reviewed a play once that had a character coming onstage carrying a large box. Halfway through the scene, a second character pops out of the box (which is still being held by character number one) and delivers a speech. I couldn’t see how this would be possible unless one character was incredibly strong, or the bottom of the box was open and character two’s legs were screened by some handy scenery. As it turned out, some unenclosed production notes would have told me which characters were to be played by puppets – that information would have put a different spin on things. If you’re planning on having a character disappear into a magic cabinet, it would be kind to indicate how you imagine this being done: “The back of the cabinet is screened by the mangle, and Aladdin climbs out the concealed flap in the false back…” You don’t need to include a diagram with numbered and labelled parts, but your director needs to have a clue what you’re thinking about. This is particularly important in British pantomime transformation scenes, like Cinders’ “Rags to Ball Gown” or “Pumpkin to Coach” moments. It’s all very well writing “There is a flash and a bang and the pumpkin is replaced by a shimmering coach…” but that’s leaving it all to the director. A little research will show you there are many ways of accomplishing this effect – bringing lights up behind a gauze, unfolding a special piece of scenery… Again, read a few scripts, see some shows, talk to some experienced dramatists. Then put your own spin on the process. I know, I know, it seems really petty to complain about mistakes like this. Who cares about full stops and question marks? It’s the content that’s important, isn’t it? Language is a constantly evolving thing, textspeak is becoming a valid form of grammar, blah, blah, blah! Well yes, language does evolve, but at the moment there are still guidelines and rules about grammar, spelling and punctuation, and you can be pretty sure that nothing much has changed in the way English is written since you were at school. Delivering a script for your publisher, or even simply turning one out for your local theatre group, should still be treated with the care and attention to detail you would give a job application letter. Grammar exists to make the written language easy to hear in your head. Commas give pauses in the sentence, full stops indicate when one idea stops and the next begins. These things are important for your words to be understood, and if people can’t comfortably read what you’ve written, they’re not going to enjoy the content. They’re not going to understand the content. They’re certainly not going to buy or perform your play. Also, if you’re not careful enough to spot errors that are highlighted for you on the spell checker of the word processor you wrote this on, how can any customer be sure you’ve been careful enough to produce a decent plot? Are there as many errors in your storyline as there are in your typing? Bear in mind that the editor or publisher is likely to be someone fond of the written word – they’ve made a business of it, after all. They are exactly the kind of person who gets annoyed by incorrect spelling, and they are also exposed to it on a daily basis. If your script contains no ghastly spelling or punctuation errors, that will be another factor in your favour. Bruno would shout “Sling yer ‘ook, drunk!” or something worse, and you won’t need to add in the ‘h’ that he drops. But the apostrophe shows the letter has been dropped on purpose, not as a result of rapid typing, and that Bruno is not making monkey noises. In summary, your characters are allowed to speak ungrammatically, or in dialect, but for your readers to correctly interpret this type of speech, it needs to be clearly punctuated. To get YOUR copy of the ebook rush over to the TLC website Best of luck with your writing. A watched phone never boils….. I really wanted to wait until I’d heard something from someone about employment, because I always think a blog without something positive is a whinge. But, there’s also the feeling I’ve mentioned before, about an idea not being properly developed until it’s been expressed. Makes me wonder about “Think before you speak”. So here I am, at Friday, a whole week into February and still with only the usual suspects of work. I spent yesterday in a fever of creativity, reviewing a play and writing two and half sketches. TLC have been asked to write a sketch evening on a specific theme and I decided it was time I tackled the sketches I’d volunteered for. If you asked me, I’d have said I don’t like working that way, that I prefer to wait until I get a great idea and then work that one out. I would have said I can’t write to order, or if I do it comes out as merely workmanlike. Modesty prevents me saying the two sketches I completed yesterday were good, but the better of the two made me laugh while I was writing it, and the second one made me laugh when David re-wrote the ending to make it funny. The third will have to wait to be written up, since I wrote it longhand while watching Eldest and Middle Weasel doing their Ice Skating lesson. I don’t know what people think it’s like, writing for a living. I can tell you what it’s like for me. So this week I’ve applied for a few more jobs and had some in depth discussions with some potential employers. I swapped quite a few e-mails with a Vancouver blog who wanted freelancers to interview Vancouver-based directors. They were willing to pay, so I volunteered my services. We talked about it, and then all of a sudden they said they were “going with other applicants.” I tried not to feel crushed, and concentrated on the online audio-book company that wanted a story re-written as a script. They also wanted some kind of adaptation done, which sounded like they wanted an additional narrative frame around the story to “put it in context”. I asked a couple of reasonable questions* and then sent them in my idea. Since they were also asking for voice actors, I pointed out that I had a fine English accent and would make a brilliant villain in one of their productions. They seemed to reply to both the e-mails out of sequence, but to be honest, neither reply made a lot of sense. The second e-mail said simply :” I concerned that people would get bored with the sequential nature of it.” I concerned. I concerned? I can forgive a typo (except when I’m proofreading) but the rest of the sentence was just as baffling. He’s worried about people getting bored with the sequential nature of the story, and he’s running a business selling audio books to people CHAPTER BY CHAPTER? Heavens, let’s avoid giving people anything of a sequential nature! We’ll keep ’em interested by starting with chapter five and then skipping ahead to seven, then three…. I may be just a little bitter. My friend and neighbour across the way, Sue, is waiting for employment news too, but she’s been waiting six months. Actually, that’s not a fair thing to say. She’s been working very, very hard to find work for six months, and has been through more interviews than I’ve had coffees. I really wouldn’t mind if today’s her day instead of mine, because I haven’t tried nearly as hard as she has. Still looking, but in the meantime…. I’ve held off on posting another entry, despite the excellent advice from Miss 604 (www.miss604.com) that you should add new content frequently, because up until last night, I really only had my lack of jobhunting success to whine about…excuse me, to document for your interest and amusement. But last night I got to go out and attend the book launch of “Drinking Vancouver” by The Famous John Lee (follow him on Twitter: http://twitter.com/johnleewriter) It’s the first time I’ve been invited to a book launch (by someone I’ve actually met) and since John’s a very nice person and has worked slavishly hard researching every bar featured in his book, it seemed only fair to go along. Life in the household is never that simple though. The do kicked off at six, and at five fifteen, I was still at the Ice Rink with Middle Weasel and Tiny Weasel as they finished their latest round of skating lessons. Clutching their certificates and badges, I hustled them into the car and rocketed (at a legal and sedate pace) through the darkening streets to the SkyTrain station at the foot of our hill. There I met Mrs Dim, who was returning from another business-type, symposium/seminar/workshop on important things that I don’t quite follow. We did a flying exchange (I had the decency to stop the car, at least, even if the engine was still runnning) and I was on the train and away. I still haven’t got used to the SkyTrain. It’s clean. It’s quiet. There’s almost always room to sit down – although I realise I always travel off-peak, and there’s going to be standing room only in a fortnight when all the commuters forced off the road by the Olympic Road Closures cram on board – and the people are non-threatening. Well, of course they are – they’re Canadians. Anyway, it’s a lovely journey from our neck of the woods into Downtown. There’s only one change, and it seems like everyone on the train makes the same change, so you sweep off the carriage at Broadway/Commercial and continue sweeping up the stairs and onto the higher level platform. Then you have the choice to make, because the Downtown train will always be there, doors open. If you run, flat out, you MIGHT just make it. Or, like the guy in front of me last night, you might get there just as the train pulls out and have to go from a sprint to a nonchalant stroll, trying to convince the passengers on the other side of the platform that this is how you always arrive at the station. So on to the next train ride, past the magical sparkling globe of Science World, and before you know it, you’re in Downtown! I had no weasels in tow, and I was on my way to an event that it would be acceptable to drop in to, so no urgency. It was a fresh evening, rather than cold, and the trees of Gastown were lit with beautiful white Christmas lights – I wonder if they ever take them down? They shouldn’t because it looked magical. Everywhere I looked seemed to have been renovated and renewed and I was getting pretty excited about seeing The Alibi Room (http://www.alibi.ca/) where the launch was being held. I lost my cool within seconds of entering. I’d seen the poster in the lobby saying that the launch was downstairs. I strode confidently up to the Maitre d’ and asked how to get downstairs. She indicated the huge staircase just to her right. “Down the stairs?” she suggested. D’oh! Downstairs was bustling, and I quickly joined the queue to pick up my own copy of the book – I have family coming out to visit soon, and I figured this is another useful guide to have. 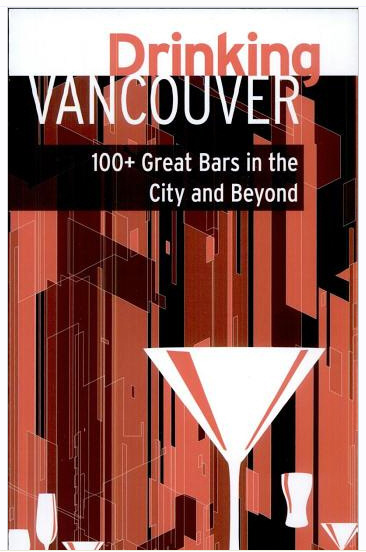 I hadn’t realised John had also written a walking guide to Vancouver too (read about it here:http://insidevancouver.ca/2009/12/02/the-perfect-gift-book-for-olympic-visitors-john-lees-walking-vancouver/) and I think that might have to become part of the family library of guide books before long. I grabbed a drink and stood at the end of the bar, feeling slightly lost and awfully English. I’ve noticed Canadians are great at meeting people. They start conversations easily and naturally, ask relevant questions like “What’s your name?” without it sounding like a criticism or interrogation. Lucky for me, a Canadian came up to me and did just that. Margarita is in the middle of a writing course, and had been told to network. She was easy to talk to and interested in what I wrote, so I talked too much and made little sense. Then she met another friend and introduced me, and Helen was from the UK, so we talked about contrasts, visits to the Old Country and what we miss. I had a chance to thank John for the invitation and get my book signed, and then I headed off. I had a worry that if I stayed longer I would start to bore people, and I had enjoyed the conversations I’d had. Best to quit while you’re ahead. Outside the night didn’t feel any colder, and the trip was just as much fun in reverse. All the way I was thinking how lucky I am. Writing plays is something I enjoy, and people seem to like the plays I’ve written (with the possible exception of “Three Sons” and “Yes, but how was the play, Mrs Lincoln?”… Nobody seems to want those ones.) For ten years I’ve seen things I’ve created go out into the world and bring back money, and I’ve been able to say “I’m a writer” and prove it to people. Talking with other writers in recent weeks, feature writers for the most part, I hear them worrying about shrinking markets, convoluted and disadvantageous contracts, increased competition and lower wages. I shouldn’t be complaining that I have to find other work, I should be thankful that it’s taken this long before the need has arisen. So I’ll update on the employment situation when there’s something to say.